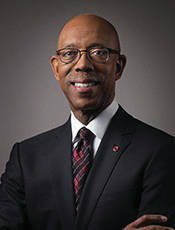 Michael V. Drake is President of The Ohio State University. Michael V. Drake does not work for, consult, own shares in or receive funding from any company or organization that would benefit from this article, and has disclosed no relevant affiliations beyond their academic appointment. Published Oct. 30 in The Conversation. The Ohio State University provides funding as a founding partner of The Conversation US.